English Romantic Poet William Wordsworth sadly died 23 April 1850. He was born 7 April 1770 in Wordsworth House in Cockermouth, Cumberland, in the Lake District. His sister was the poet and diarist Dorothy Wordsworth and his eldest brother Richard, became a lawyer; while his brother John, died at sea in 1805 when the ship of which he was captain, the Earl of Abergavenny, was wrecked off the south coast of England. His younger brother Christopher, entered the Church becoming Master of Trinity College, Cambridge. Wordsworth was taught to read by his mother and attended, first, a tiny school of low quality in Cockermouth, then a school in Penrith for the children of upper-class families, where he was taught by Ann Birkett. Wordsworth was taught both the Bible and the Spectator, but little else. It was at the school in Penrith that he met the Hutchinsons, including Mary, who later became his wife. After the death of his mother, in 1778, Wordsworth’s father sent him to Hawkshead Grammar School in Lancashire (now in Cumbria) and sent Dorothy to live with relatives in Yorkshire. Following the death of his friend the painter William Green in 1823, Wordsworth also mended his relations with Coleridge and in 1828 they toured the Rhineland together. Sadly Dorothy suffered from a severe illness in 1829 that rendered her an invalid for the remainder of her life. In 1838, Wordsworth received an honorary doctorate in Civil Law from the University of Durham and the following year he was awarded the same honorary degree by the University of Oxford. In 1842, the government awarded him a Civil List pension of £300 a year. Following the death of Robert Southey in 1843 Wordsworth became Poet Laureate After assurances from Prime Minister, Robert Peel, Wordsworth thus became the only poet laureate to write no official verses. Sadly His daughter Dora suddenly died in 1847 at the age of only 42 and in his depression, he completely gave up writing new material. Then William Wordsworth died at home at Rydal Mount from an aggravated case of pleurisy on 23 April 1850. He was buried at St Oswald’s Church, Grasmere. Steve Clark, the former Guitarist with Def Leppard was born 23 April 1960. Def Leppard were Formed in 1977 in Sheffield as part of the New Wave of British Heavy Metal movement and their strongest commercial success came between the early 1980s and the early 1990s. Their 1981 album High ‘n’ Dry was produced by Robert John “Mutt” Lange, who helped them begin to define their style, and the album’s stand out track “Bringin’ On the Heartbreak” became one of the first metal videos played on MTV in 1982. The band’s next studio album Pyromania in 1983, with the singles Photograph and Rock of Ages, turned Def Leppard into a household name. In 2004, the album ranked number 384 on Rolling Stone’s 500 Greatest Albums of All Time. 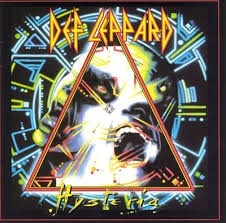 Def Leppard’s fourth album Hysteria, was released in 1987, and topped the U.S and UK album charts. As of 2009 it has 12x platinum sales in the United States, and has gone on to sell over 20 million copies worldwide. The album contained loads of absolutely fantastic songs, including “Love Bites”, “Pour Some Sugar on Me , “Hysteria,” Armageddon It , “Animal” Rocket“, Gods of War and Women. Def Leppard’s next studio album Adrenalize reached number one on the U.S. Billboard 200 and UK Album Chart in 1992, this contained several hits including, “Let’s Get Rocked” and “Have You Ever Needed Someone So Bad”. Their 1993 album Retro Active contained the acoustic hit song “Two Steps Behind”, while their greatest hits album Vault released in 1995 featured track “When Love & Hate Collide. Sadly though Clarke passed away 8 January 1991. However he was replaced by Vivian Campbell who has remained with Def Leppard ever since. Def Leppard’s latest album Def Leppard was released in 2015 as part of a limited edition fan pack containing a magazine, limited edition prints and a Key ring. It contains the songs Let’s go, Dangerous, Man Enough, we belong, Invincible, Sea of Love, Energized, All time high, Battle of my own, Broke & Broken-hearted, Forever Youmg, Last Dance, Wings of an Angel, Blind Faith, We Belong (Alternate mix), Let’s Go (UK Radio edit). 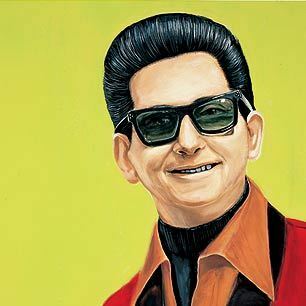 Known by the nickname ‘The Big O’ and remembered for his distinctive, powerful voice,the American singer, guitarist, and songwriter Roy Orbison was Born April 23, 1936 Roy Kelton Orbison, he grew up in Texas and began singing in a rockabilly/country and western band in high school until he was signed by Sun Records in Memphis. His greatest success came with Monument Records between 1960 and 1964, when 22 of his songs placed on the Billboard Top Forty, including “Only the Lonely”, “Crying”, and “Oh, Pretty Woman”. His career stagnated through the 1970s, but several covers of his songs and the use of “In Dreams” in David Lynch’s Blue Velvet revived his career in the 1980s. In 1988, he joined the supergroup Traveling Wilburys with George Harrison, Bob Dylan, Tom Petty, and Jeff Lynne and also released a new solo album. His life was marred by tragedy, including the death of his first wife and his two eldest sons in separate accidents.Orbison was a natural baritone, but music scholars have suggested that he had a three- or four-octave range. The combination of Orbison’s powerful, impassioned voice and complex musical arrangements led many critics to refer to his music as operatic, giving him the sobriquet “the Caruso of Rock”. Elvis Presley and Bono have stated his voice was, respectively, the greatest and most distinctive they had ever heard. While most men in rock and roll in the 1950s and 1960s portrayed a defiant masculinity, many of Orbison’s songs instead conveyed a quiet, desperate vulnerability. He was known for performing dark emotional ballads while standing still and solitary, wearing black clothes and dark sunglasses which lent an air of mystery to his persona. Often referred to England’s national poet, the “Bard of Avon”, and widely regarded as the world’s pre-eminent dramatist and greatest writer in the English language. The English poet and playwright William Shakespeare was believed to have been born on ths day 23rd April1564 (based on his baptism 26 April 1564). Shakespeare was born and brought up in Stratford-upon-Avon, Warwickshire. At the age of 18, he married Anne Hathaway, with whom he had three children: Susanna, and twins Hamnet and Judith. Sometime between 1585 and 1592, he began a successful career in London as an actor, writer, and part-owner of a playing company called the Lord Chamberlain’s Men, later known as the King’s Men. His surviving works, including some collaborations, consist of about 38 plays, 154 sonnets, two long narrative poems, and several other poems. The first recorded works of Shakespeare include Richard III and the three parts of Henry VI, written in the early 1590s during a vogue for historical drama. He then wrote Titus Andronicus, The Comedy of Errors, The Taming of the Shrew, The Two Gentlemen of Verona, The Two Noble Kinsmen and Cardenio. During the mid-1590s Shakespeare wrote his most acclaimed comedies A Midsummer Night’s Dream, a witty mixture of romance, fairy magic, and comic lowlife scenes. The equally romantic Merchant of Venice, which contains a portrayal of the vengeful Jewish moneylender Shylock, which reflects Elizabethan views but may appear derogatory to modern audiences. He also wrote the Plays Much Ado About Nothing which is full of wit and wordplay, As You Like Which is set in a charming rural setting of and Twelfth Night which contains lively merrymaking. While Richard II, was written almost entirely in verse, Shakespeare infused prose comedy into the histories of the late 1590s, and wrote Henry IV, parts 1 and 2, and Henry V. He also wrote two tragedies: Romeo and Juliet, the famous romantic tragedy of sexually charged adolescence, love, and death and Julius Caesar—based on Sir Thomas North’s 1579 translation of Plutarch’s Parallel Lives. During the early 17th century, Shakespeare wrote the so-called “problem plays” such as Measure for Measure, Troilus and Cressida, and All’s Well That Ends Well, Hamlet, King Lear, Macbeth, Antony and Cleopatra and Coriolanus. In his final period, Shakespeare turned to romance or tragicomedy and completed three more major plays: Cymbeline, The Winter’s Tale, and The Tempest, as well as the collaboration, Pericles, Prince of Tyre. Less bleak than the tragedies, these four plays are graver in tone than the comedies of the 1590s, but they end with reconciliation and the forgiveness of potentially tragic errors. His plays have been translated into every major living language and are performed more often than those of any other playwright. He was born and brought up in Stratford-upon-Avon. Shakespeare was probably educated at the King’s New School in Stratford, a free school chartered in 1553, about a quarter-mile (400 m) from his home. Grammar schools varied in quality during the Elizabethan era, but grammar school curricula were largely similar: the basic Latin text was standardised by royal decree. At the age of 18, he married Anne Hathaway, although there is some speculation that he was also married to his childhood sweetheart Anne Whately, who may have been The Dark Lady referred to in the sonnets. He had three children with Hathaway: Susanna, and twins Hamnet and Judith. Between 1585 and 1592, he began a successful career in London as an actor, writer, and part owner of a playing company called the Lord Chamberlain’s Men, later known as the King’s Men. He appears to have retired to Stratford around 1613 at age 49. Few records of Shakespeare’s private life survive, and there has been considerable speculation about such matters as his physical appearance, sexuality, religious beliefs, and whether the works attributed to him were written by others. Many of his plays were published in editions of varying quality and accuracy during his lifetime. In 1623, two of his former theatrical colleagues published the First Folio, a collected edition of his dramatic works that included all but two of the plays now recognised as Shakespeare’s. During his life Shakespeare was a respected poet and playwright, but his reputation did not rise to its present heights until the 19th century. The Romantics, in particular, acclaimed Shakespeare’s genius, and the Victorians worshipped Shakespeare with a reverence that George Bernard Shaw called “bardolatry”. In the 20th century, his work was repeatedly adopted and rediscovered by new movements in scholarship and performance. Sadly though Shakespeare passed away on 23rd April 1616 but he left behnd an endurng legacy and his books Sonnets & plays remain highly popular today and are constantly studied, performed, and reinterpreted in diverse cultural and political contexts throughout the world and remain as popular today as they’ve always been. UN English Language Day is observed annually on April 23. The event was established by the UNESCO (United Nations Educational, Scientific and Cultural Organization) in 2010 to seeking “to celebrate multilingualism and cultural diversity as well as to promote equal use of all six of its official working languages throughout the organization”. 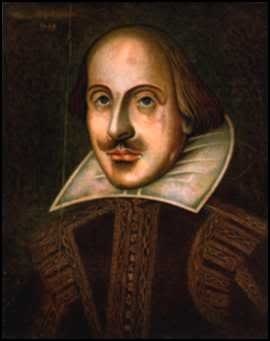 April 23 was chosen as the date for the English language because it is the anniversary of William Shakespeare’s birth. 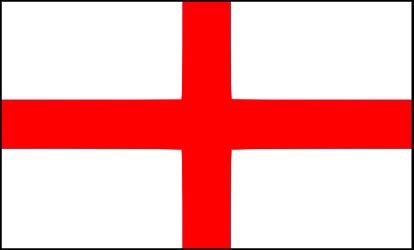 April 23rd is Saint George’s Day. according to tradition, George was a Roman soldier from Syria Palaestina and a soldier in the Guard of Diocletian, who is venerated as a Christian martyr. In hagiography Saint George is one of the most venerated saints in the Catholic (Western and Eastern Rites), Anglican, Eastern Orthodox, and the Oriental Orthodox churches. He is immortalized in the tale of Saint George and the Dragon and is one of the Fourteen Holy Helpers. His memorial is celebrated on 23 April, and he is regarded as one of the most prominent military saints. Many Patronages of Saint George exist around the world, including: Georgia, England, Egypt, Bulgaria, Aragon, Catalonia, Romania, Ethiopia, Greece, India, Iraq, Lithuania, Palestine, Portugal, Serbia, Ukraine and Russia, as well as the cities of Genoa, Amersfoort, Beirut, Fakiha, Bteghrine, Cáceres, Ferrara, Freiburg, Kumanovo, Ljubljana, Pomorie, Preston, Qormi, Rio de Janeiro, Lod, Lviv, Barcelona, Moscow, Tamworth and the Maltese island of Gozo, as well as of the Scout Movement and a wide range of professions, organizations and disease sufferers. It is likely that Saint George was born to a Christian noble family in Lod, Syria Palaestina during the late third century between about 275 AD and 285 AD, and he died in Nicomedia. His father, Gerontius, was a Roman army official from Cappadocia and his mother, Polychronia, was from Palestine. They were both Christians and from noble families of Anici, so the child was raised with Christian beliefs. They decided to call him Georgius (Latin) or Georgios (Greek), meaning “worker of the land”. At the age of 14, George lost his father; a few years later, George’s mother, Polychronia, died. Then George decided to go to Nicomedia, the imperial city of that time, and present himself to Emperor Diocletian to apply for a career as a soldier. Diocletian welcomed him with open arms, as he had known his father, Gerontius — one of his finest soldiers. By his late 20s, George was promoted to the rank of Tribunus and stationed as an imperial guard of the Emperor at Nicomedia. In the year AD 302, Diocletian (influenced by Galerius) issued an edict that every Christian soldier in the army should be arrested and every other soldier should offer a sacrifice to the Roman gods of the time. However George objected and with the courage of his faith approached the Emperor and ruler. Diocletian was upset, not wanting to lose his best tribune and the son of his best official, Gerontius. George loudly renounced the Emperor’s edict, and in front of his fellow soldiers and Tribunes he claimed himself to be a Christian and declared his worship of Jesus Christ. Diocletian attempted to convert George, even offering gifts of land, money and slaves if he made a sacrifice to the Roman gods. The Emperor made many offers, but George never accepted. Recognizing the futility of his efforts, Diocletian was left with no choice but to have him executed for his refusal. Before the execution George gave his wealth to the poor and prepared himself. After various torture sessions, including laceration on a wheel of swords in which he was resuscitated three times, George was executed by decapitation before Nicomedia’s city wall, on April 23, 303. A witness of his suffering convinced Empress Alexandra and Athanasius, a pagan priest, to become Christians as well, and so they joined George in martyrdom. His body was returned to Lydda in Palestine for burial, where Christians soon came to honour him as a martyr. Eastern Orthodox depictions of Saint George slaying a dragon often include the image of the young maiden who looks on from a distance. The standard iconographic interpretation of the image icon is that the dragon represents both Satan (Rev. 12:3) and the Roman Empire. The young maiden is none other than the wife of Diocletian, Alexandra. Thus, the image as interpreted through the language of Byzantine Iconography, is an image of the martyrdom of the saint. The episode of St George and the Dragon was a legend brought back with the Crusaders and retold with the courtly appurtenances belonging to the genre of Romance. The earliest known depiction of the legend is from early eleventh-century Cappadocia, (in the iconography of the Eastern Orthodox Church, George had been depicted as a soldier since at least the seventh century); the earliest known surviving narrative text is an eleventh-century Georgian text. In the Western version, a dragon or crocodile makes its nest at the spring that provides water for the city of “Silene” (perhaps modern Cyrene in Libya or the city of Lydda in the Holy Land). Consequently, the citizens have to distract the dragon from its nest for a time, in order to collect water. To do so, each day they offer the dragon at first a sheep, and if no sheep can be found, then a maiden must go instead of the sheep. The victim is chosen by drawing lots. One day, this happens to be the princess. The monarch begs for her life to be spared, but to no avail. She is offered to the dragon, but Saint George arrives on his travels. He faces the dragon, protects himself with the sign of the Cross, slays the dragon, and rescues the princess. The grateful citizens abandon their ancestral paganism and convert to Christianity.